The Cyprus Blog is a mini-journal giving you quick links to What's New on the site plus all of our latest Travel Secrets! Quickly keep track of any new pages added to the site. See where changes or additions have been made to older pages so you're always up to date with the latest Cyprus travel information. Read contributions from our visitors when they add a story or share a photo. And be the first to hear about great offers and deals that I just LOVE to share with my visitors! It's EASY to subscribe to this blog - just right click on the orange RSS button you see in the box below the navigation buttons on the left of the page, and paste the URL into your RSS reader. Or click on the "Add to My Yahoo" or "My MSN" or "Google" buttons if you'd like to receive our updates from there. (If you're not sure what any of this Blog and RSS stuff is about, just click the little "blue ? mark" link next to Subscribe to This Site in the box). Become part of the Cyprus Blog! Just tell me your favorite story or share a favourite photo about Cyprus by clicking here! 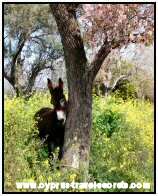 Your story becomes part of this blog (which shows the site's most recent pages) and a permanent part of Cyprus-Travel-Secrets.com for other visitors to read! Plus I'll tweet your Web page at my Twitter account too! Go on, please join in and have some fun! Continue reading "Holidays to North Cyprus"
I am booked to stay in Akaga, self catering, and would welcome learning from you about the immediate area. What are the musts that we should do, please? Continue reading "Nearest and best supermarket to Akaga"
Continue reading "Weather in Troodos in March"
Continue reading "Travel to Famagusta from Larnaca"
Continue reading "Public transport in Troodos"
Continue reading "acomedation in E4"
What type of accomodation can I find along the way ? Can I camp with my own tent easily ? Continue reading "E4 trail camping"
Continue reading "Best Cyprus Spa Hotels"
Insider tips on how to quickly check availability at all Cyprus hotels, read reviews and get the best discounted price with just a couple of clicks. Continue reading "All Cyprus Hotels"
Continue reading "Holiday Villa Cyprus"